Some writings are considered major positions or stances that need to be read to more fully understand where this blog is coming from. Here's a selection of those writings. 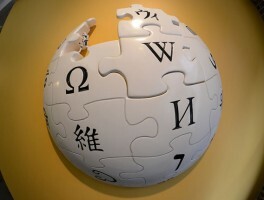 It took only 13 years for the word “encyclopedia” to mean “Wikipedia” and the values of Wikipedia (openness and equality) to become the values of the entire Internet itself. Can it take only 13 years for the word “Church” to no longer refer to places of exclusion and harm, but instead refer to people of inclusion and grace?